On 3-5 April 2005, a Killdeer Charadrius vociferus stayed near Rottige Meente, Friesland/Overijssel, the Netherlands. It was easily identified by its large size (for a Charadrius plover), long tail, long wings with prominent white wing bar, double black breast band, orange or cinnamon-coloured rump and uppertail and high-pitched, rising, two-toned call. Judging from the worn coverts, it was considered a first-winter bird. It constitutes the first record for the Netherlands. 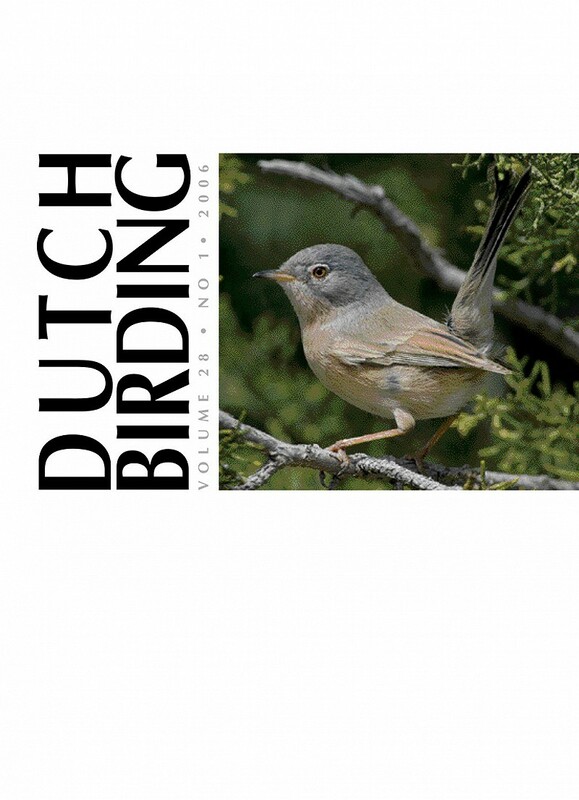 On 30 May 2004, a male Rock Bunting Emberiza cia was seen by three observers on Rottumerplaat, Groningen, the Netherlands. The bird was seen in bushes and in flight several times but was very mobile; it could not be photographed. The description excludes similar bunting species that could occur as escapes. The white wing-bar indicates that the bird belonged to the nominate subspecies E c cia. The small island is not accessible to the public and is only \'inhabited\' by the two wardens and occasional guests; the bird was therefore not \'twitchable\'. This is the first record for the Netherlands. Previous records in north-western Europe north of Belgium and Germany are from Britain (4), Denmark (1) and Sweden (5) (see table 1). In spring 2005, a pair of Whooper Swans Cygnus cygnus bred in a peat bog near Wapse, Drenthe, the Netherlands. The birds were seen mating on 12 April. Later in April, a bird was seen on its nest. The nest contained five eggs, of which four hatched between 20 and 23 May. On 30 May, one young was missing and, in subsequent weeks, the other three disappeared as well (one was found dead); the cause of death is unknown. The adults stayed in the area until 24 July and returned between 15 and 18 October 2005. This is the first documented breeding record for the Netherlands; there is no evidence that the species bred at any time in past centuries. There are no indications that the birds were escapes or injured. On 5-6 and 16-17 April 2005, a Red-rumped Swallow Cecropis daurica showing worn flight-feathers was observed at two sites close to each other in Gelderland, the Netherlands. On 16-17 April, the bird appeared to have shed its inner primaries. As far as known, this was the first example of spring primary moult in this species for Europe.